Caliper is a measure of the thickness of a sheet of paper (1 pt. = 1/1000 of an inch). Below is a list of basis weights and corresponding calipers of AVEO. All Reich Paper grades are manufactured to a basis-weight standard, not to caliper. Calipers here (and in stock charts) are provided for reference, but may vary slightly from run to run, as is typical for any paper. Inks: Standard offset inks may be used when printing on AVEO. Laser: AVEO is suitable for laser printing. Pretesting is essential as performance will vary from one printer to another. Ink Jet: AVEO is suitable for both monochrome and color ink jet printing, but results may vary from one printer to another. It is important to pretest on the actual printer to be used. 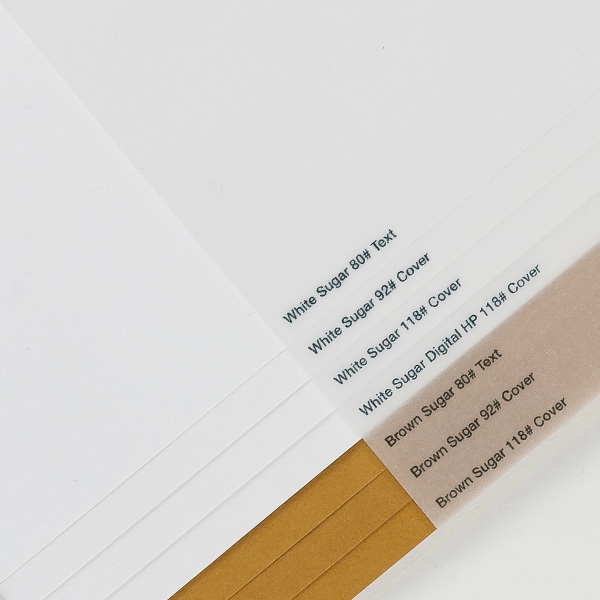 Digital: AVEO White Sugar Digital HP 118# is treated for use on HP Indigo digital presses. AVEO 80# Text, 92# Cover and 118# Cover have been successfully printed on Xerox iGen, Kodak NexPress and Konica Minolta digital presses. Our paper stock charts list all sheet sizes with grain direction last. As for all papers, binding and folding AVEO parallel to the grain direction is recommended. Dot Gain: Printing on AVEO will result in similar dot gain as printing on other uncoated paper. Line Screen: In general, line screens ranging from 150-200 are used for printing on AVEO. 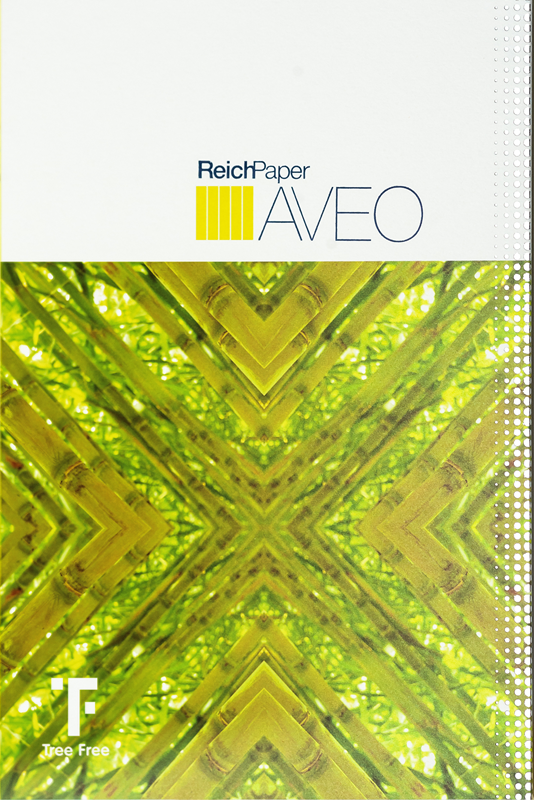 Storage & Handling: As for all papers, avoid exposing AVEO to extreme humidity or temperature conditions. Spray Powder: Normal spray powder may be used when printing on AVEO. 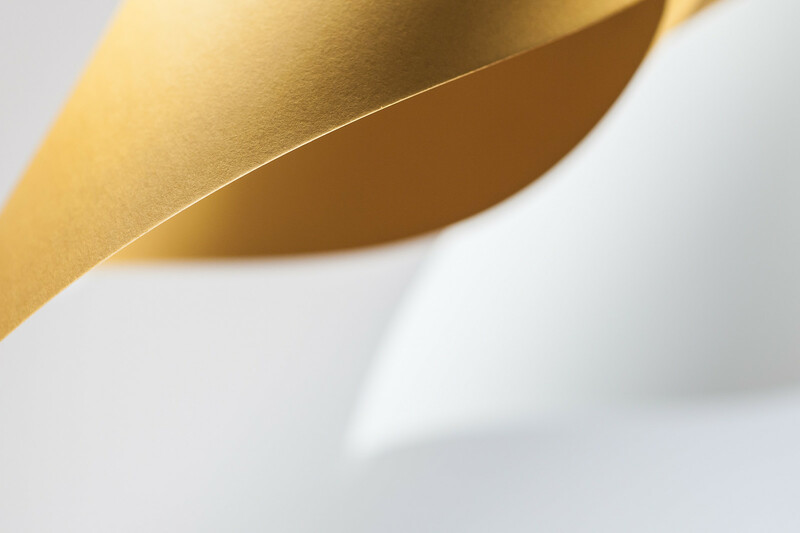 Varnish & Aqueous Coating: As with all papers, varnishing or aqueous coating AVEO after printing can help to protect the printed area. 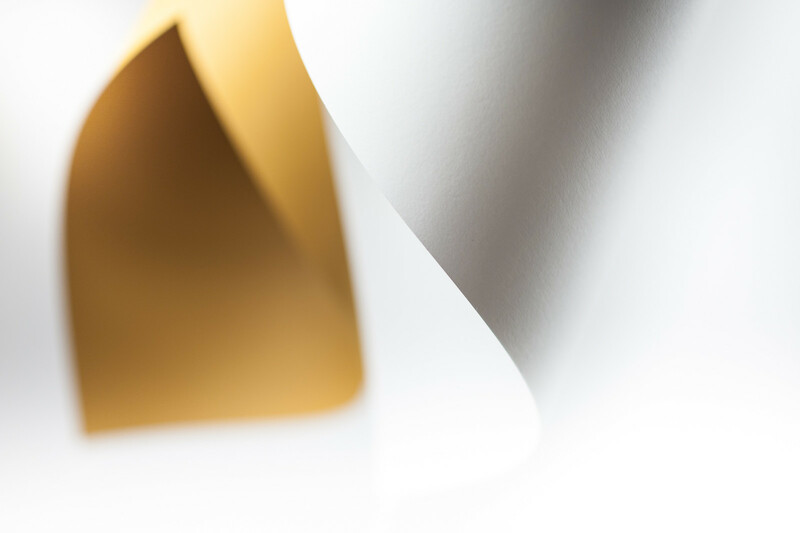 Scoring & Folding: AVEO will score and fold beautifully. 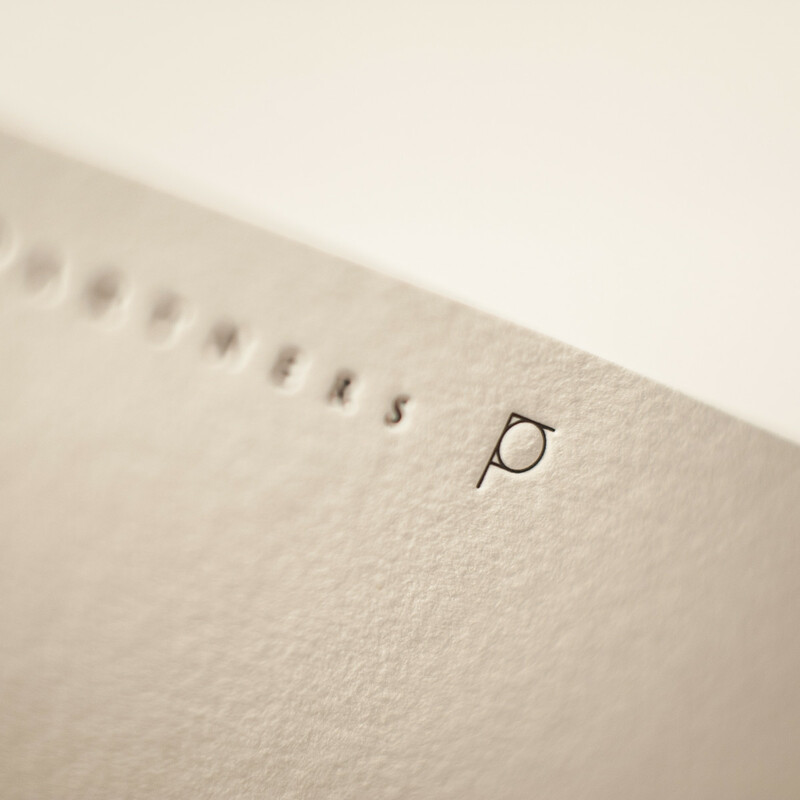 As for all papers, folding with the grain direction is preferred. We recommend a rounded channel score with a minimum width of 2.5 times the caliper of the sheet. All AVEO weights are ideal for converting and packaging applications. Binding: Binding should always run parallel to the grain direction.